This washing up liquid from Method is a natural and eco-friendly cleaner that can still cut through the toughest grease and stains in your kitchen. Formulated from coconut oil derived biodegradable cleaners, aloe vera gel and vitamin e combine for high-powered cleaning that keeps hands soft and goes down the sink without a trace of guilt. 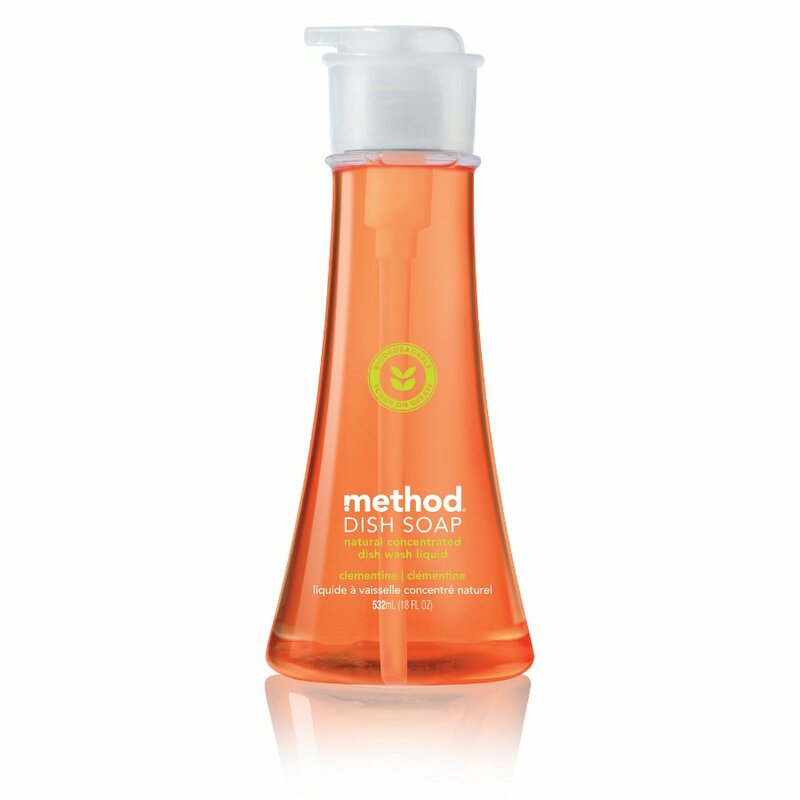 Method washing up liquid comes in a beautifully packaged 100% recycled pump bottle that you will be proud to display in your home and remember all Method bottles are recyclable, so please don't send them to the landfills, recycle after use! Free from parabens, phthalates, animal by-products or triclosan, and Method do not test on animals. The Method Washing Up Liquid Pump - Clementine - 532ml product ethics are indicated below. To learn more about these product ethics and to see related products, follow the links below. Smells amazing! Will definitely keep using this. Lovely smell - will last ages and glad refills available. There are currently no questions to display about Method Washing Up Liquid Pump - Clementine - 532ml.